Growing up in the 90s, Carmen Sandiego was among my favorite characters. With a killer red ensemble and an even better theme song, it was hard to not take notice of this femme fatale. There were game shows, an animated series, video games, and other media; but things had been rather quiet for the titular thief in the early 2000s until Netflix announced a new animated series in 2017. Last week, the long awaited show premiered and I was curious how Netflix would handle the origins of the iconic thief with so many conflicting backstories from the various iterations of the franchise. Weirdly enough, the answer is by using almost everything. When the trailer first dropped, some voiced their concern that Carmen would be an anti hero rather than a slick thief who enjoyed the challenge of the heist. Watching the show, however, the show creates a more fully realized character in Carmen. 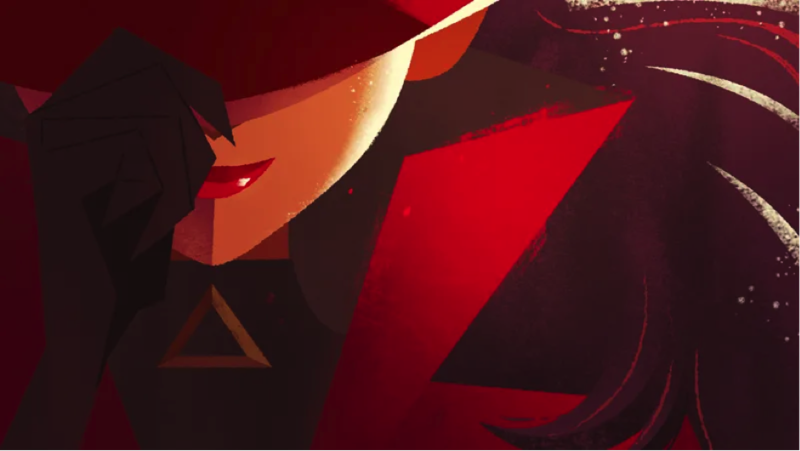 Instead of being cool due to her air of mystery, we get to know who Carmen Sandiego is instead of second hand rumors and hearsay that we had been given in previous incarnations. What we learn about her simply reinforces how skilled she is instead of detracting from that. The first two episodes of the nine episode first season focus on Carmen’s origins growing up amongst V.I.L.E’s elite criminals, her eventual rejection of their criminal organization, and set up some questions about Carmen’s past that become key later in the series. Despite Carmen’s popularity, she has never been the lead character in any of her shows and the set up provided by this incarnation is both refreshing and needed to drive a narrative that is now focused on her. With Carmen Sandiego at the center of the mystery of her own past, Gina Rodriguez brings the necessary spectrum of emotion to the role which bodes well for the future live action movie Netflix has also announced. While some choices are new to this series, there are plenty of references for long time fans. If you have warm memories of the game show, A.C.M.E’s Chief makes a glorious reappearance. In reference to the original actress, the late Lynne Thigpen, The Chief is an older black woman with white hair (in what I hope is a nod to how Thigpen would have been seventy this year). Also returning is the edutainment aspect with Carmen and her cohorts often discussing notable aspects from the countries they are visiting that later prove to be necessary to the heist. From the original series, “Where in the World is Carmen Sandiego?”, Ivy and Zach make a reappearance but are now working with Carmen Sandiego instead of attempting to take her down. The references to the games are almost innumerable. With a White Hat Hacker called “Player” to the Inspector Clouseau-esque Detective Chase Devineaux who tends to spout many of Carmen Sandiego’s video game backstories as his theories. For those worried that this adaptation strays too far from the other series, it is apparent in every choice the production staff has made that their respect and knowledge for Carmen is at the core of their team. I feel I could go on even more about this adaptation but perhaps that would be a disservice to it. This show is a love letter to the Carmen Sandiego franchise while using that foundation to create something bold and new. With gorgeous animation and cohesive story, I am definitely intrigued to see what the future holds for the next season of this show. Who knew that asking “Who is Carmen Sandiego?” was the push this franchise needed to welcome it to the modern era? With a new and critically well received Transformers movie lurking on the horizon with Bumblebee, you may ask yourself, where to start when it comes to Transformers? Given the reputation of the live action Transformer movies helmed by Michael Bay, hesitation about delving further into Transformers is understandable. If you’ve only seen those movies, you probably expect that anything else starring the titular robots would be equally clumsy in their stories of good versus evil. However, I am here to tell you that you have nothing to fear! Today we’ll dip our toes in the water with some graphic novels and cartoons to get you prepared for Bumblebee. My first recommendation is going to be something that will put you in the exact frame of mind for Bumblebee. 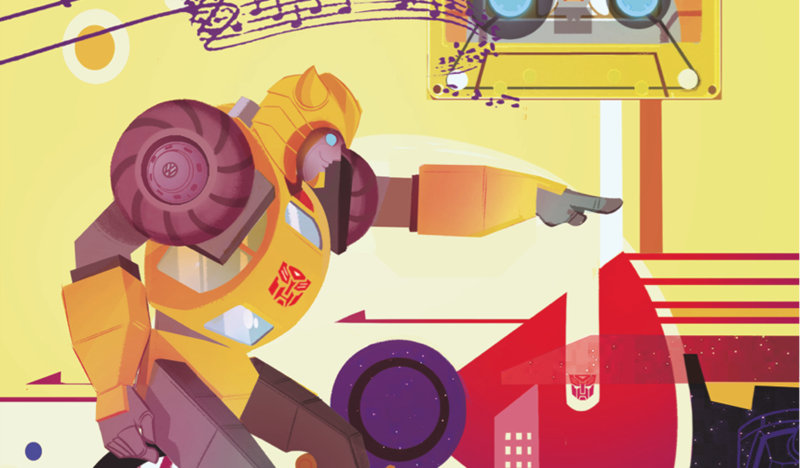 A new graphic novel, Bumblebee- Win if You Dare, is an excellent introduction to Bumblebee’s character. The book opens with Bumblebee having just recovered from an injury. However, Optimus Prime refuses to clear him for duty because of how Bumblebee recklessly received those injuries in battle. 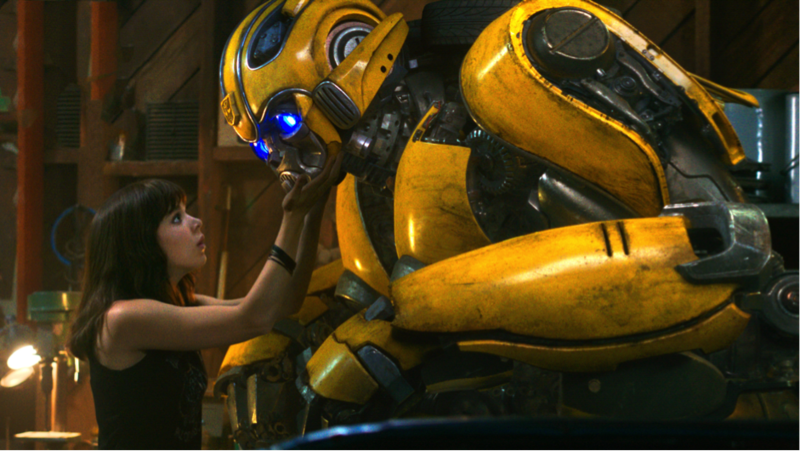 While trying to get cleared for active duty again, Bumblebee is swept up in a plot that could give the Decepticons a technological advantage and it’s up to him and his new human allies to stop them. This book is a perfect introduction to Bumblee and no prior Transformers knowledge is necessary to enjoy it. It showcases that, while he’s not the strongest in this world of power having robots, he’s creative enough and has the heart to go toe to toe with much stronger foes. This trade is a short read but the writer, James Asmus, utilizes every page well to tell a satisfying story that can not only delight younger readers but also entertain older readers and fans. Helping that story is the fluid style of the artwork from the art team of Marcelo Ferreira and Áthilla Fabbio. If you enjoy this book, there is also a one shot tie in coming out December 19th called Bumblebee: Go for the Gold from the same creative team. I went back and forth for which animated series to recommend. I could have recommended the darker toned Transformers: Prime or the bright and colorful fan favorite, Transformers Animated, but neither felt completely right for this article. It was in doing research for this article that I stumbled upon the newest Transformers show, Transformers Cyberverse. Much like the new movie, this show starts with an injured Bumblebee alone on Earth. However, instead of Hailee Steinfeld finding him, fellow Autobot Windblade does and realizes his injuries have fractured his memories. Together, they go through his memories to try to find where the rest of missing Autobots are with Decepticons in close pursuit. This show does have some hurdles overcome. The first couple episodes seem a bit rough, the animation is more minimalist than any recent Transformers show, and sometimes the limited voice cast for the show can be jarring (especially for the voice clips Bumblebee uses to speak with.) However, once you get past that, you have a solid show that kids can enjoy but older viewers can appreciate as well. Cyberverse’s greatest strength is that it lovingly picks some of the best elements of previous transformers shows and comics to create something unique and exciting. Where the show begins to shine is how it utilizes flashbacks as Bumblebee regains his memories. Cyberverse uses these memories to show us not just flashbacks to previous battles but also what life on Cybertron was like before the war. Pre-war scenes where you see Bumblebee admiring the gladiator and younger revolutionary leader Megatron and future Autobots and Decepticons hanging out together at a bar as friends, make the devastation on Cybertron that much more impactful. Transformers: More than Meets the Eye is the odd one out on my list. Unlike my other two recommendations it has very little do with Bumblebee. If memory serves, he only appears in the first issue. It also is a title that deals with more mature topics than the other recommendations. However, I feel that it’s a good addition to this list in that shows the vast potential for the stories that can be told with Transformers. The book is set in IDW comics where the Decepticons and Autobots have finally established an uneasy peace with Starscream as the new leader of a peaceful Cybertron. This premise lends itself to a wealth of story of opportunities and More Than Meets The Eye fully embraces those possibilities. The book opens with Hot Rod, rash and loud former Prime, rallying others to join in his quest to find the lost Knights of Cybertron. What he manages to gather are a crew of second stringers who have their own reasons for running away from Cybertron. This group of misfits must come together if they are survive their journey into the dangerous reaches of space. The writer, James Roberts, excels writing compelling and complex characters with genuine, heart and humor in the face of incredibly dire circumstances. With their flaws and faults, you can’t help but root for these bots. He also does an excellent job of exploring the implications of having your identity tied to a war and it’s factions and that suddenly coming to an end. Along with Roberts is the artwork of Alex Milne which gave more personality and fluidity to the bots. This winning combination has made this book a gold standard among fans when it comes to Transformers comics! With that, we come to the end of our journey into Transformers media! Despite what Michael Bay did with the franchise, I hope you can see that Transformers can be… more than meets the eye! I mean I couldn’t not end my article that way. Bumblebee would be disappointed in me if I did not. Four years ago, on a spooky October day, Warner Brothers announced that their chosen future king of Atlantis—Jason Momoa---was going to have his own feature solo film. Much to the confused and cautious wonder of the nerd community, the news of an Aquaman film made some waves. Though the company had previously attempted to breathe life into Arthur Curry with a Smallville spin-off, the series’ pilot took on water faster than it could ever gain syndication. However, despite the murky waters of live action drama, the Aquatic Ace was still a fan favorite with the much beloved Batman: The Brave & The Bold animated series. So that, my dear ones, left us afloat and at the whim of DC & Warner Bros.
What would become of Aquaman? Well, while Warner Bros.’s chance on the Justice League film was not a triumphant success in the grand scheme of things, it did paint a more positive look at the potential of DC heroes on the modern silver screen. We were introduced to Momoa’s charismatic, loveable jock portrayal of Arthur Curry for the first time. Affable, heroic and blunt, the possibility of Aquaman heading his own feature was not as baffling as it once was. With the recent drops of trailers for the new film cresting the horizon, I hunkered down and began to tread the waters of Aquaman reading material. I, much like many comic enthusiasts, am not a well of Aquaman knowledge, so, with director James Wan leading Jason Momoa, as Arthur Curry, and Amber Heard, returning as Mera from her brief stints in Justice League, I’ve rounded up two story arcs to properly get your feet wet for the Atlantian Half-Breed. Let’s dive in! Pfeifer’s Aquaman is a splash from the more recent past. Collecting issues 15-22 of the ’04 run, Sub Diego paints Arthur as a reluctant ruler fresh from stepping down from his throne who is keen on helping people thrive in a new realm. A fantastic jumping on point, this trade collects the tale of what happens when a large portion of San Diego, California is struck with a tragic earthquake, sinking to the bottom of the Pacific Coast. Searching for survivors, Arthur finds no signs of life. Initially. A month after the shocking events, as what is left of the city is in mourning, missing people (and pets!) begin to surface and… drown on land? Taking to action immediately, Aquaman searches what he once thought to be a watery grave yet again. While the death count is still high, many individuals of the event live and breathe in the ocean, trapped in the debris of their new watery surroundings. Knowing he can understand these people the most, being of one world yet deemed to live in another, Arthur sets to adopting Sub Diego as its protector. Somehow befriending one of the first people he saves, a teenager named Lorena who will later go on to become Aquagirl, the pair try to crack the case on exactly how the survivors of Sub Diego came to be able to breathe under the sea. 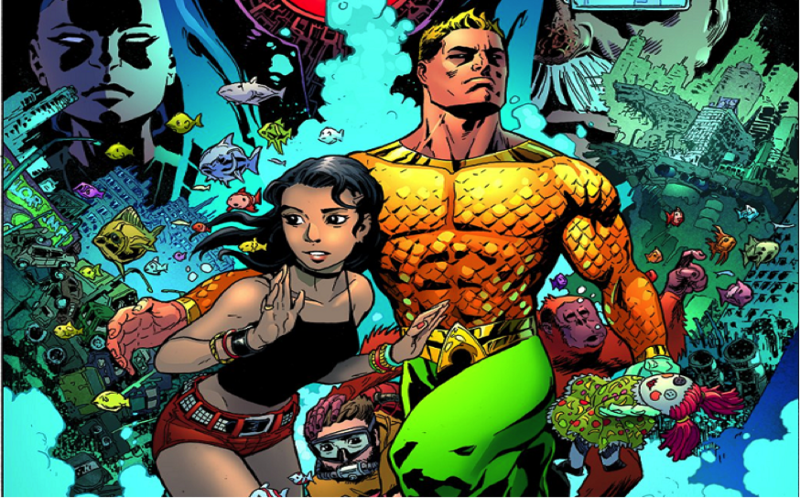 Though the story is technically set in the middle of a comic run, as a new reader, you do not feel like a fish out of water while absorbing the story unfolding before you. Quite the opposite, in fact. Sub Diego helps to flesh out Aquaman’s sense of responsibility, honor and loyalty despite his differences with the people of land. Arthur is smart, kind and quite snarky as he does everything in his power to help any individual in need of help, even if they partook in some terrible misdeeds. He just loves Sub Diego so mu-huh-huch. Ok, so, yes, I am recommending a book from the New 52 line. Believe you me, it is surprising to me as well. But, take a chance on this one, Johns has a wonderful grip on an Aquaman who is actively choosing to abstain from the throne of Atlantis; a man who wants to be like his father before him and protect the coast in his own way. Arthur, and his new to all things on land girlfriend Mera, live in the old lighthouse his father once tended to, musing on how to thrive on land, away from Atlantis’ royalties. When an alarming chunk of the population of a fishing town goes missing---some still around, scattered remains of an obvious attack—local authorities are reluctant to ask for Arthur and Mera’s assistance. It seems that some ancient humanoid fish species has risen from one of the deepest, darkest parts of the ocean… and they’re hungry. Mera is quickly on the side of “we must defeat them before they destroy us” where as Arthur wishes to understand them to stop this. In his thought process, they are clearly not of this part of the ocean, they’re searching for food and merely trying to survive just as he is. The internal struggle of not only wishing to do what is right and the responsible choice but also what would be the most compassionate is an interesting dynamic to see within Aquaman. This story also handles the idea of a highly aware Aquaman. He knows the memes and the jokes, he understands that people ridicule his powers. (He doesn’t talk to fish, he mentally compels their emotions to assist him! Though he might talk to dolphins.) Arthur is even, quite rudely, faced with the fact that he is known as “no one’s favorite hero”. Like in Sub Diego, Arthur is mentally drowning on land but fights through with compassion and patience. He has an honor code he wants to hold himself to; to be himself and help others, the haters be damned. Conversely, we are also privy to Mera learning how to cut her teeth on land. Being solely of Atlantis, even known as a mermaid to some people who didn’t even believe she had legs instead of fins, she struggles to understand people on land. They see her as simply “Aquawoman”, an extension of Aquaman, quickly judging her based on appearance and perceived understanding rather than her own wit. She is a strong person, full of fire and righteousness, who is willing to cut through the muck to do what is right. We are even shown the creative application of her Waterbender-like powers to appropriately flex how different her powers are from Arthur’s own abilities. Mera is, frankly, the HBIC of the Sea. And, whilst dealing with their neighbors finding them to be odd, Arthur and Mera adopt a dog. An officer jokes they should name him “Aquadog”. I would offer “Subwoofer” as a possibility. The Trench is a wonderful starting line for understanding both Arthur and Mera going into the new film. Their desires to flex their individualities whilst also remaining true to their own beliefs is relatable and the stuff of modern heroes. Doing this research and reading has certainly created ripples within my well of knowledge. It has opened my eyes to the delightfully ridiculous stories and heart swell of emotion for true honor codes within heroes. The Aquatic Ace has quickly raced into my list of respected and adored DC heroes. I… might love Aquaman? Yeah. I love Aquaman. 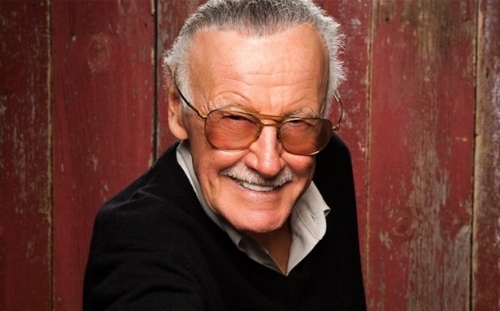 To start a draft with the words "Stan Lee was an icon" would be both an understatement and overstating the obvious. I don't have to tell you about the impact he made on the world of comic books. Those who have never picked up comic book have at least an inkling of the status Lee has in the world of superheroes and remarkable beings. No, a breakdown of his history in this literary world and how it transitioned into mainstream entertainment isn't necessary. What is necessary is how this revolutionary figure in comics made an impact on the members of The Capeless Crusaders. "Thank you for making me a better human, without ever knowing my name." - Amy. Stan touched so many of us, both in his stories and in his own words. He inspired us with tales of those willing to take a stand to do what's right and reminded us that we were all connected on this one planet. He used his soapbox in 1968 to stand against racism and bigotry, and recently did the same on social media. Stan not only gave us an ideal to strive for, but lead the way to that ideal. "They say you 'should write what you know.' If this is true, then Stan Lee knew what it meant to be a spectacular human being. A person who cared to improve the world around him and inspire his readers. Men like Stan are few and far between. I am grateful to have been able to be impacted by his writing and his creations." - Manderson. Because of Stan, generation after generation of writers, artists and filmmakers were inspired to create their stories. Stan showed us all that the imagination is a creator's greatest tool. He became the symbol of drive and dedication for those with a pen and pad. He revealed that a writer of comics can be equally as revered and respected as a writer of novels. He provided storytellers with interesting an engaging characters worthy of experiencing on the small ad big screens. As much of a popular and legendary figure as Stan became, he never lost his humility. Up until his final day, Stan was humbled by the idea of having fans. He was honored to wake up everyday and know that there were people he had never met, halfway around the world, who were loyal to him and the universe he had created. His fame didn't change the man he was deep down. It was one of Stan's greatest qualities; one that was felt by all his fans when they met him in person. As you've noticed, i've riddled this piece with quotes from members of the show. You may also have noticed that there is one missing: mine. There's a reason for that. I wanted to leave you with words from the members of the show who have lived and breathed comics since their early youth. The members who fully embraced Stan the second they heard of him. When it comes to comics, I still view myself as the new guy. Don't get me wrong: I proudly wear the banner of "comic book nerd." I am honored to be a member of this comic book podcast. However, I only recently, within the last ten years, came to know Marvel's greatest hero. Yet, in that limited amount of time compared to the others here, Stan Lee had an impact on my life. While, Michael Crichton, Aaron Sorkin and John Carpenter are the reasons I decided to become a writer, it was Stan Lee who inspired me to never stop writing. That moment in Stan's life, when he was ready to call it quits and his loving wife Joan inspired him to give it one more go. She told him to create one last good comic and Stan did so. The rest is history. I am lucky enough to have a wife that does the same for me. I am lucky enough to have my fellow Crusaders lending their support. I am lucky enough to be involved in the world of comics, learning about new characters and their adventures. But most of all, I am lucky enough to have learned about Stan, The Man. In a small period of time, he left a mark on my life that will never be forgotten. On behalf of everyone at The Capeless Crusaders, every comic book lover and every loyal fan of his worldwide... Thank you, Stan. Don’t make them on purpose, of course, that would ruin the integrity of the game. Talking to D&D players who want to be a DM, but never take the shot, I find their biggest fear is making a mistake. They look at the Dungeon Master’s Guide, the Player’s Handbook, and the Monster Manual and freak out. Those books are hundreds if not over a thousand pages of information. It’s easy to get overwhelmed. So go make mistakes. When I started on this journey as a DM, I had played D&D less than a year and wanted to play with some other friends. No one wanted to step up to lead the campaign, so since it was my idea I did. I spent plenty of time preparing. The adventure was a perfect intro to the game for some and a good way to bond the group. Despite spending hours preparing, writing, and rewriting NPCs and story points, I made mistakes. The one that sticks out the most is the inspiration mechanic. In my first few sessions I kept treating inspiration, which gives a player advantage on a d20 role of their choice, as if it were bardic inspiration. It worked, but when I learned that I was doing it wrong I corrected it and informed the group of the change. This probably should have been my first post, and if you jump back to the second I did talk about bending or disregarding certain rules. While this relates, it is different than making mistakes and being willing to do so. The best way to become a good DM is to start and make mistakes, learn from those mistakes, and improve. Some mistakes will be small like the inspiration rule, others may feel more critical. The worst mistake you could make is to not try. Last session the Crusaders picked up in the ruins of Nagnalore. The clicking in the trees continued around them. As they took in their surroundings, they noticed a series of very life-like statues. Upon closer examination they broke the closest, which set the petrified victim free. After the victim gained her senses she introduced herself a Lara. The Crusaders learned the Lara was sent to break the news of the Queen’s loves death, and investigate reports that the queen was attempting to desecrate the blood of her father. As the Crusaders talked, Bryce heard a “bamf” noise and felt a weight on his shoulder. When he turned his head he noticed a little being with skinny legs arms and a stick like body. The head of the being appeared to be a mask, but it is animated. After many attempts to communicate with it Alex finally realized that he can understand some of his words. After confirming that the Chwinga is a friend, it bestowed a charm of restoration onto Bryce. The Crusaders offer to assist Lara and they followed the statues toward the tower at the end of the courtyard. They entered into the tower and were met by Zalkoré, the exiled queen of Omu. Most of her body was covered in a dress and veil of feathers. The Crusaders, mainly Jeska, distracted the queen while Lara snuck behind her. Before Lara could act, Zalkoré revealed that she was transformed into a gorgon. This revelation sent Lara into a rage and she attacked the queen, causing the Eblis, crane-like creatures, to swoop to the defense of the queen. After a short battle Alex, in the form of the Avatar of the Green, suffocated the queen almost to death in his grasp. H then released her and allowed Bryce to finish her off! With the queen of Omu dead, and the fate of Wandsa in the balance, what is the next step for the Crusaders in their mission to find and destroy the soul monger? Tune in for our next adventure to find out. Character interactions have been one of the more complex parts of the game for me. Those of you who have DMed, have likely struggled with this at least early on in your experience. With D&D and other similar table top games, it is easy to get caught up in pushing into the next encounter, dungeon or story point. Allowing the flow of the game to control the pace can cause players to lose interest because they are not allowed to be as invested. While pushing from one town to the next and any peril or encounter that may come with the journey is probably the way new players expect the game to go, players and Dungeon Masters with more experience might feel this pace gets repetitive. If you only allow your players to use their combat abilities they miss more than half of who their character is. 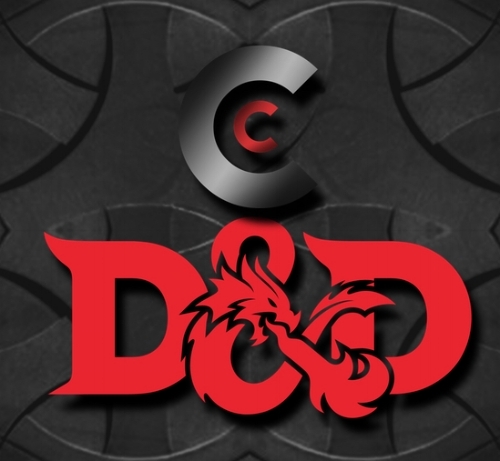 Compare D&D to video games like the Mass Effect series, most of your characters growth is combat based, while a small portion is for social interaction in these games. D&D on the other hand allows for most of ones abilities and traits to impact how they interact with party members and Non-Player Characters (NPCs). Part of crafting a great story for the characters to play is creating different ways for this story to play out. If you create multiple paths to your epic conclusion how do they discover these multiple ways? Interact with NPCs! Whether those NPCs are encountered on the road, in a fort, in a city or a plethora of other locations they could hold new information or alternatives that the characters can explore or proceed with. Be prepared for the unexpected when interactions occur. In almost every one of the D&D episodes we have had the players have made a choice that I did not expect. As the DM I don’t mind these moments at all, as a matter of fact, I hope for them. They challenge me to stay creative on the fly and role play a bit more myself from the NPC perspective. Take this past session, while we did have a number of guests, the story continued. We are playing through the “Tomb of Annihilation” that Wizards of the Coast published last year. When the characters arrive at Camp Vengeance they are supposed to be commanded to either take the injured back to Port Nyanzaru or take a contingent of the Order on a patrol, just as Mara Hill suggested. If they do not they are to be arrested and tried for negligence of duty during a military crisis. Now, if I had forced the decision in the moment one of those three outcomes may have quickly come into play. Instead I gave them time! The characters then talk out their options, despite not knowing what happens to the entire group if they say no, and come up with a third option: heal all the sick and wounded. This is not what I expected to happen. However, it created good dialogue between the Player Characters as well as some of the NPCs, which made it all the more fun for the players, and myself, and hopefully you the audience! Most people I talked to about D&D love it because they love storytelling. Allowing every person at the table to contribute to that story makes it more rich, unexpected and enjoyable for anyone involved whether at the table or spectating. Creativity from the group enhances the game play. So don’t be afraid to sit back and let your players do whatever they want! What’s the worse that could happen? They roll a natural one and fall to their death? I guess that is pretty bad, but then they get to make a new character! In this session we pick up after the encounter with the Zombie T-rex and an angry Goblin King. While the Crusaders are victorious, Diane appears to be killed and is floating down the river, though Alex and Bryce do not know this. The remaining Crusaders decide to continue with their mission and deliver Undril Silvertusk to Camp Vengeance as asked. They arrive at the camp shortly after dark, and are suspiciously engaged by Commander Mara Hill, the Camp’s Commanding Officer. After being let through the gate they encounter Wandsa Maxitoff, a Tiefling Sorcerer who is being held captive and her companion Jeska Daughter of Jones a Cloud Dwarf Barbarian (also Amy’s new character). Mara quickly reveals that she has a prejudice against magic wielders and that is why Wandsa has been taken prisoner. They are offered, however, a deal. If they undertake a mission for the Order of the Shield Wandsa will be set free to assist with the mission and let go afterward. As a sign of goodwill Mara releases Wandsa and has Bryce, Alex, Jeska and Wandsa led back to a relatively luxurious place to spend the night. The Crusaders and their new friends, however do not turn in, they spend their time talking about their options for escape or cooperation. They land on the idea of healing all the sick and wounded to earn the goodwill of the camp. As part of their plan Bryce is sent to distract, or seduce Mara, which he succeeds with at least the former, if not the latter. We left the Crusaders having healed the camp and disappearing back to their cabin and with a flash to Diane who we find dead on the shores of the Soshenstar, only to have the spirit of Gimpy the Three-legged Berserking Wolf inhabit the corpse, bringing Diane back to life! Continuing my (rather public) journal on what I have learned while trying to DM for the Crusaders and others! D&D can come in many different levels of play: certain groups love the challenge of role play and interacting with Non-Player Characters (NPCs). Other groups want to dive into combat discover new and challenging enemies. Others still fall somewhere in between. No matter where your group falls, and despite needing to provide a fun game, the DM also needs to provide the very real risk of failure. Failure can come in many different forms. Let’s use our previous session with the Crusaders for instance. Up to this point there was no real risk of failure; they had decisions to make, but they are now in a very hostile environment. Not only is there risk from being away from civilization and in the wild, but undead stalk the jungles as well as creatures both big and small that could provide a threat. The Crusaders also came to discover that exploration of ruins or jungle could possibly end in failure. While exploring the remnants of Camp Righteous, the first camp established by the Order of the Shield, they discover ruins from the long dead Kingdom of Chult. They use guile and intelligence to make their way through, but not without taking bits of damage and failing to solve a few of the puzzles and traps along the way. While none of the Player Characters (PCs) took enough damage threaten their life, it did provide a very real threat. Eventually they solved the riddle of the ruins, by imitating the pictographs on the wall and riding piggyback style through the ruins. After leaving the ruins, the mystery of the dead sisters of Diane is solved as the Goblin King rides in on a Tyrannosaurus Rex claiming that they would destroy the “God Killer.” This combat was entertaining, fun and dangerous. When the T-Rex attacked Diane we learned that this monster provided a very real threat to the group. With one bite, this adversary knocked off more than half her hit points, and the players learned when she is released that this is a zombie dinosaur that can produce other zombies by vomiting them up! This encounter and the puzzles of the ruins created a session that finally had some real danger and hopefully instilled in the players and spectators alike that this quest could possibly end in the failure and death of the entire group. These challenges required some unique strategies including the befriending of a baby Axe Beak bird, and even the use of abilities that causes friendly fire damage. This encounter very well could have wiped out the entire party if not handled correctly. Not every puzzle, or every encounter with monsters or foes needs to be life threatening, some may just push the story along, while others may threaten the success of the quest. In many combat encounters you may even find that there is a non-combat solution to the encounter. At the end of our session, we leave Diane passed out from her wounds floating down the River Soshenstar back toward Port Nyanzaru. Bryce, Alex and Undril have defeated the goblin and the zombies, including the T-Rex. What is to come of Diane? Will the rest of the Crusaders save her or is she lost to the wilds of Chult? To answers to these questions tune in to our next episode of Crusaders and Dragons!